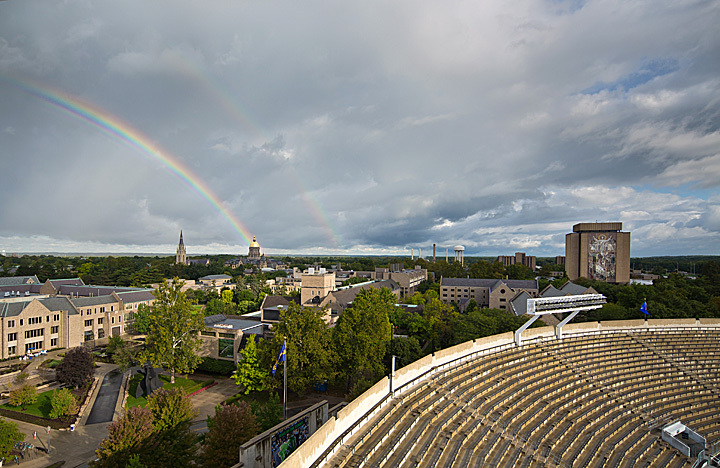 If a rainy mid-week leads to game day weather like we had this past Saturday, I’ll take it any time! 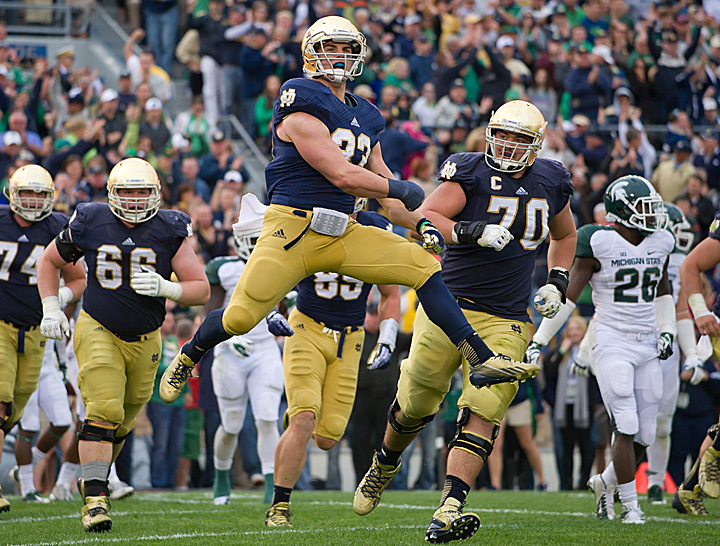 ND kept the home win streak going with a 17-13 win against the Michigan State Spartans. Here are 10 highlights. 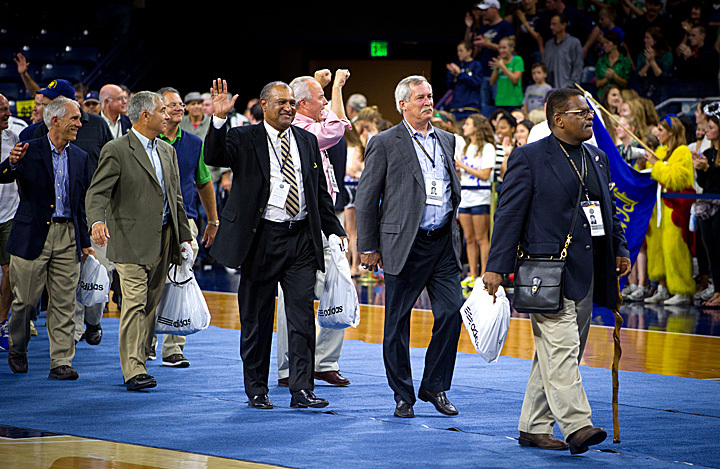 The 1973 National Champions were the guests of honor at Friday night’s pep rally in the Purcell Pavilion. So, uhhhh, this is a good sign, right? 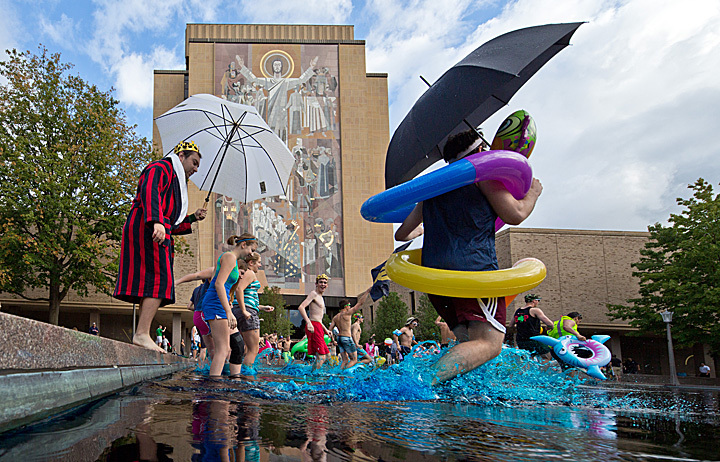 Residents and friends of St. Edward’s Hall jump into the library reflecting pool to watch the marching band go by. 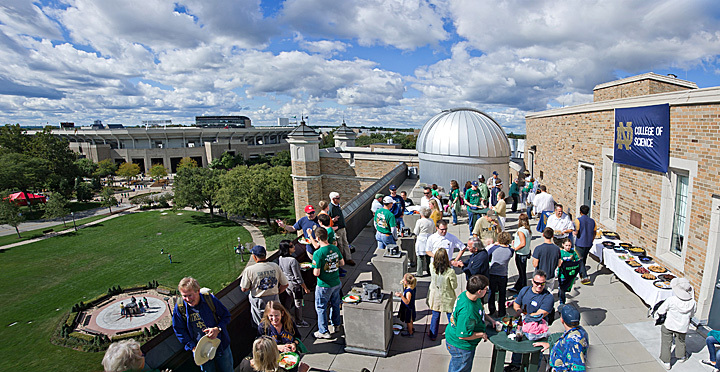 The College of Science enjoyed the perfect weather with a tailgater on the Jordan Hall of Science observatory deck. 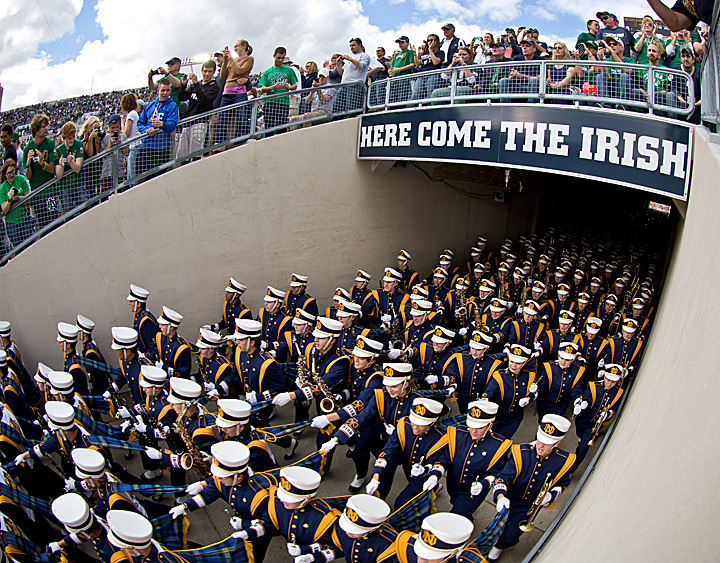 The Notre Dame Marching Band takes the field. 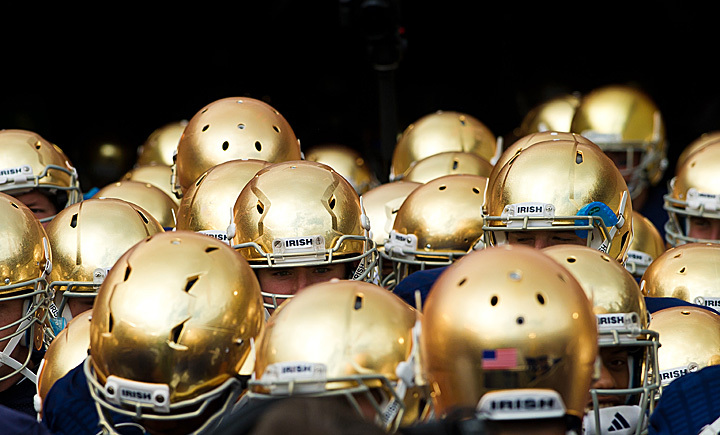 The football team emerges from the tunnel. 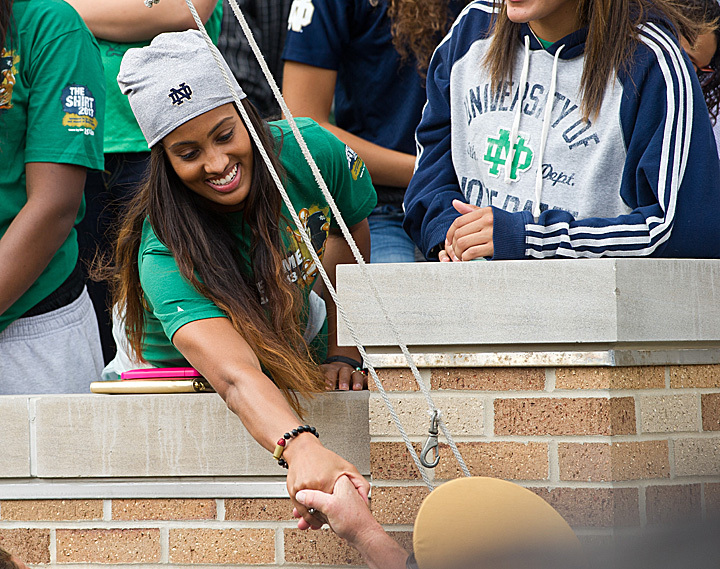 The WNBA’s Skylar Diggins returned to campus to watch the game. 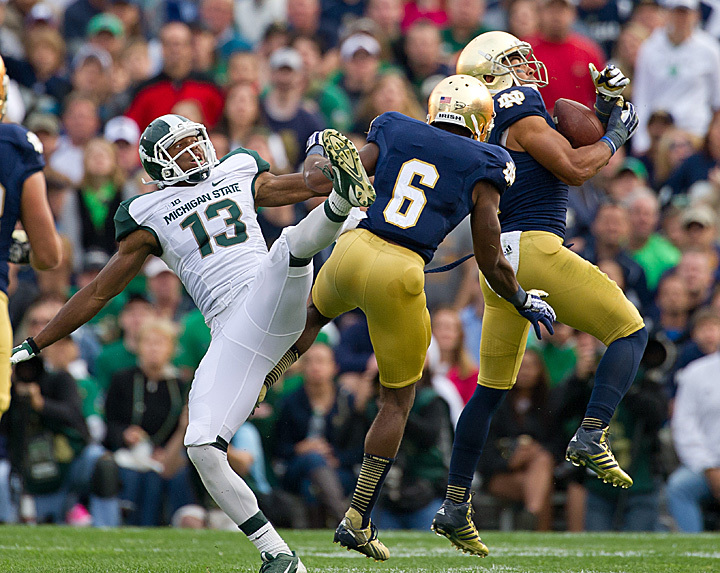 Matthias Farley picks off an MSU pass in the third quarter. Cam McDaniel celebrates after his fourth quarter touchdown run. 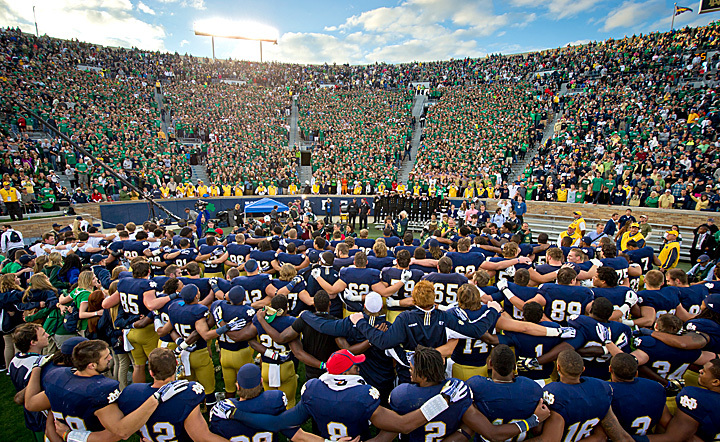 The team and the student section sing the Alma Mater together after the 17-13 win.